Landed in Japan with high hopes and a vest full of worries and excitement. 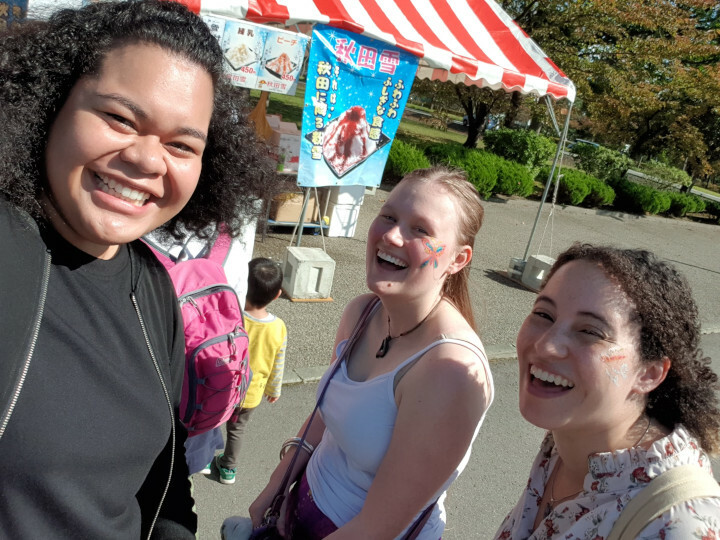 When I arrived at AIU I was relieved and very hopeful that my stay, life, and experience would be one that would hold an impact on my life forever. My favourite part of AIU so far is the friendly community, since arriving I have met so many individuals from all over the globe. I’ve had the opportunity to interact with many Japanese students, learn about their personal insights, culture, beliefs and values. I am able to listen to their stories, share their experiences and of course make long-lasting friendships. The experience so far has allowed me to have a new insight and enforces me to re-evaluate certain aspects of life that are similar and different from my own. The AIU community is ever welcoming and kind. Plus, I am constantly surrounded by greenery and of course the fresh air. I have been graced with many opportunities and new experiences constantly. I joined the rugby club, a sport I am quite familiar with. It was insightful to see a sport I had grown up playing and observed for so many years in a totally new and international setting. Although the rules are the same and the game is the same, for some reason it provides a new outlook and perspective on something so similar. The team members are full of enthusiasm and fighting spirit, which provides an uplifting mood and energy. The secluded location of AIU really allows students to focus on their studies and have an international experience that is unique as well as versatile. I look forward to continuing my studies at AIU for the rest of the fall semester and hope that I may continue to experience new and challenging experiences during my stay.